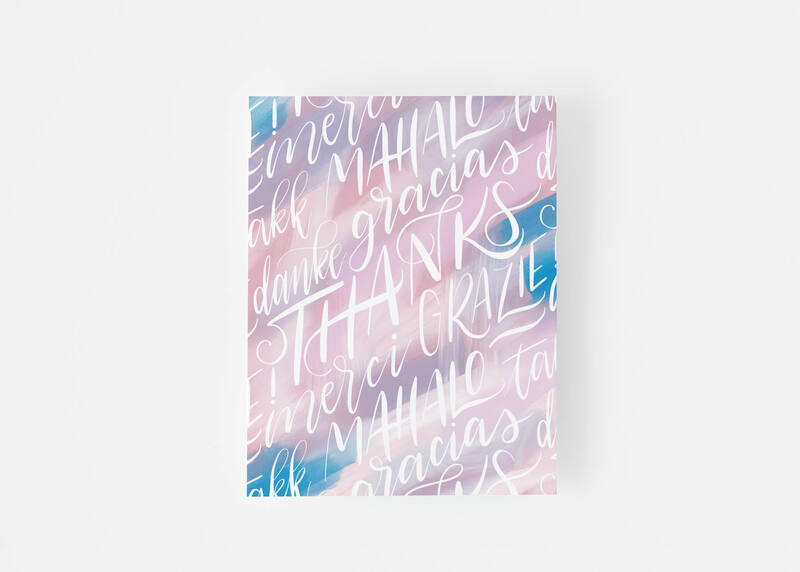 These hand-painted and hand-lettered thank you cards show thanks in many languages. 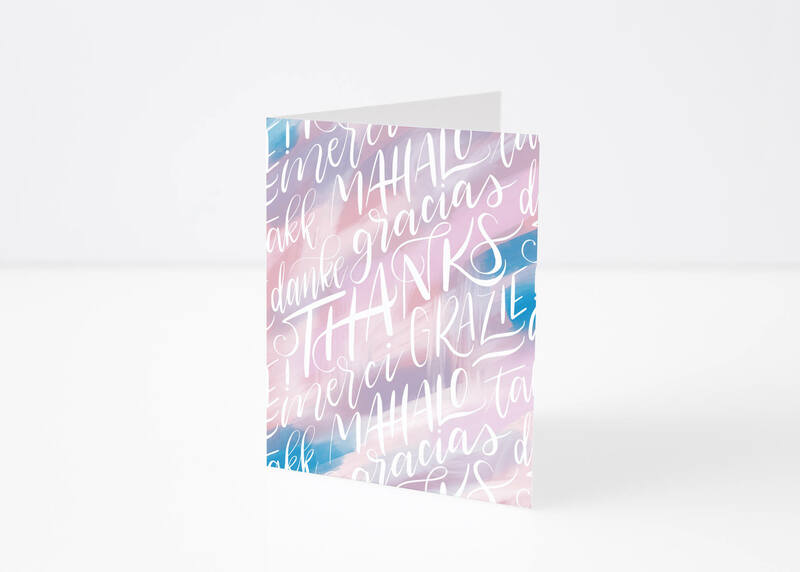 Includes thanks, grazie, gracias, takk, mahalo, danke, and merci. These cards are sold in sets of 1, 4, or 8, and are folded A2 (4.25×5.5″) cards. They will arrive with pale gray envelopes. The inside is white and blank.